Here are some handmade Thank You Cards by Valerie Smith. 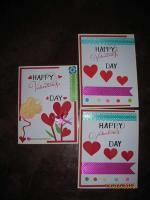 Please note that this is one of the many pages of Valerie's handmade greeting cards. 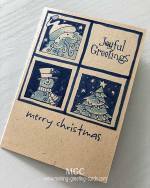 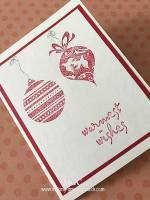 You can view more handmade cards by Valerie Smith just by scrolling to the bottom of page and click on the relevant links. 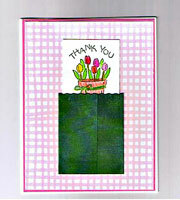 Valerie made this sweet paper card with pink strips and green pocket. 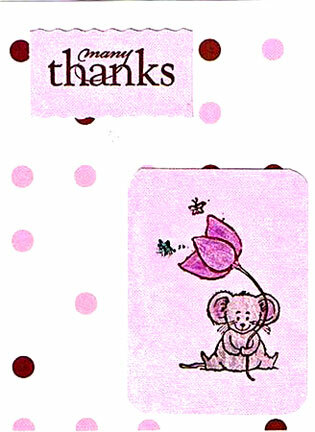 She handstamped a pot of flowers with the words THANK YOU on white cardstock. 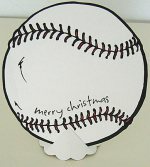 Trimmed and insert this into the green pocket. 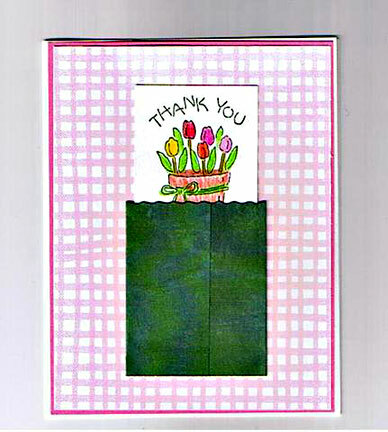 Rubber stamps, polka dots and the message "Many Thanks" make up this beautiful homemade card - one of the two thank you cards by Valerie Smith.